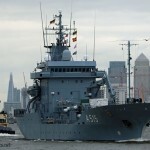 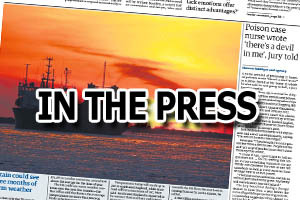 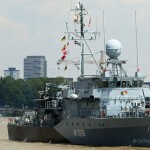 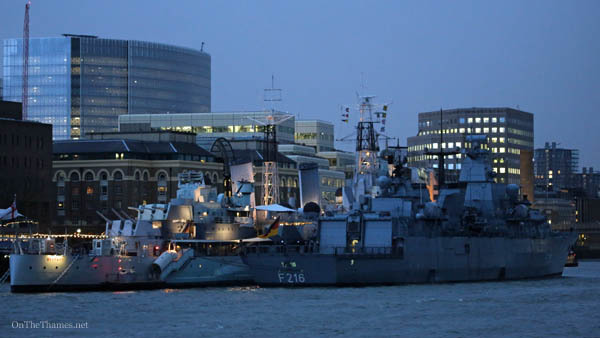 A FRIGATE from the German navy arrived in London early on Friday morning. 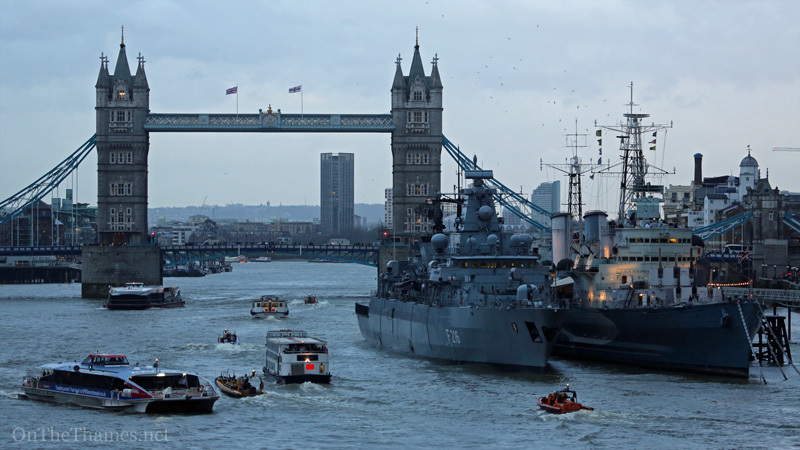 SCHLESWIG-HOLSTEN reached the capital and moored alongside HMS BELFAST a short time before sunrise. 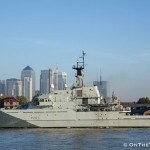 The visit by the Brandenburg-class frigate comes just a few days after a visit by the Royal Navy frigate, HMS ARGYLL. 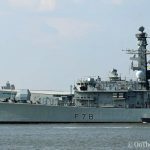 Later this year, the 139-metre vessel which was built in the early 90s, will join the Royal Navy’s Response Force Task Group in the Cougar 14 deployment. 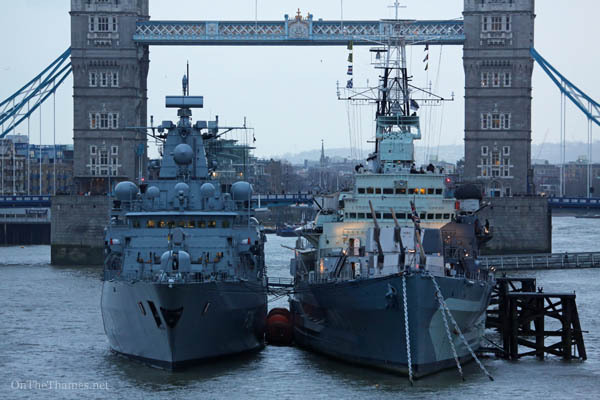 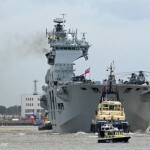 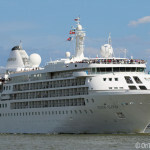 SCHLESWIG-HOLSTEN will remain on the Thames until Monday morning when she is due to depart under Tower Bridge at 10:10.